The warm weather is here to stay. The trees are blooming, and the flowers are out. With bees buzzing and the sun shining, springtime just might be the most poetic time of year. We're in the mood for poetry, and April is National Poetry Month! We hope you've caught the poetry bug as well, because we not only have some great poetry, but we also want to share a story about a great poet. So whether you want to read poetry or read about poetry this month, we've got you covered. Enjoy! George loved words. But George was enslaved. 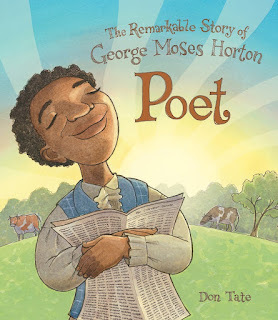 In this powerful biography of poet George Moses Horton, the first Southern African-American man to be published, Don Tate tells an inspiring and moving story of talent and determination. 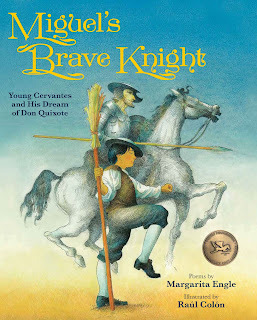 Award-winning author Margarita Engle’s distinctive picture book depiction (also in Spanish) of the childhood of Miguel de Cervantes, the father of the modern novel, told in a series of free verse poems, is enhanced by Raúl Colón’s stunning illustrations. Backmatter includes a note from both the author and illustrator as well as additional information on Cervantes and his novel Don Quixote. 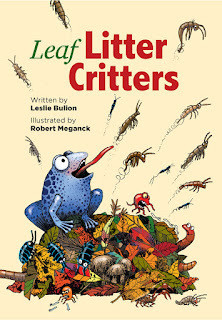 Have fun on this poetic tour through the leaf litter layer and dig into the fascinating facts about the tiny critters who live there. 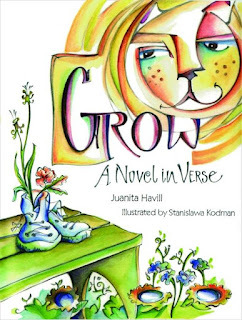 Nineteen poems in a variety of verse forms with accompanying science notes take readers on a decomposer safari through the “brown food web,” from bacteria through tardigrades and on to rove beetle predators. Author Leslie Bulion's glossary, hands-on investigations, and resources are included in the back matter. 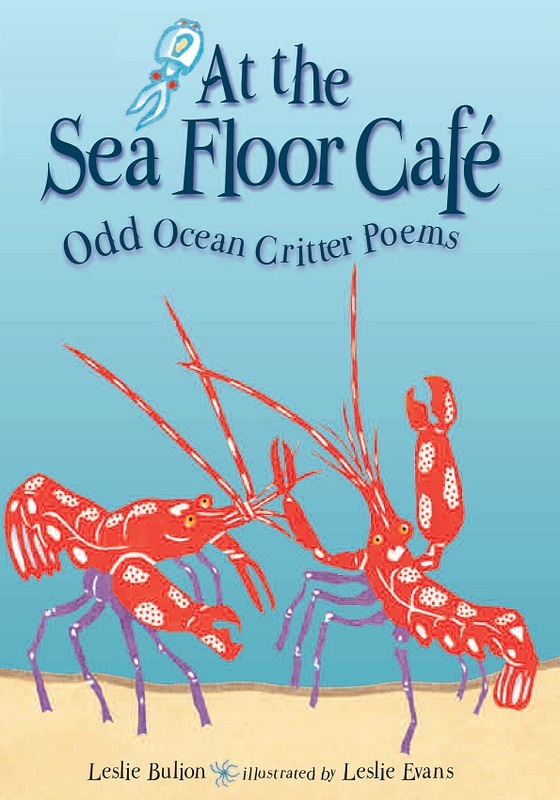 Witty poems and elegant artwork let us know what's on the menu for some unusual undersea creatures. 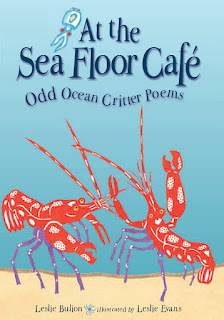 Leslie Bulion gives readers a clever collection of poems that describes the devious and sometimes surprising methods ocean denizens use to forage for food, capture prey, trick predators, and protect their young. 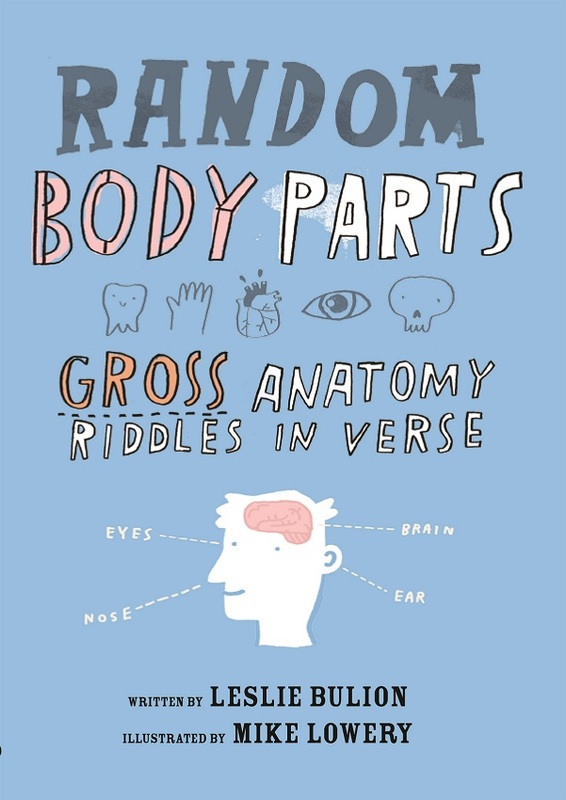 Take a free-form trip through the human body with these humorous riddle poems. Which body part, if spread out flat, would cover a tennis court? Stretched end to end, which body parts would wrap four times around the equator? What's the hardest substance in the human body? 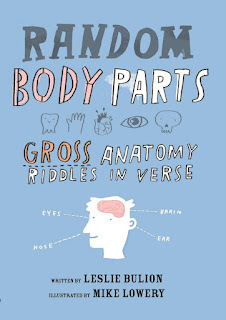 Leslie Bulion has put together anatomical, poetic, and visual clues that will help readers discover the answers to these questions -- and many more! 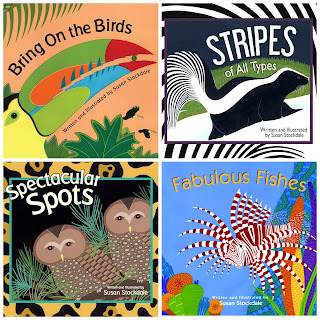 With simple, rhyming text and brightly colored, richly textured illustrations, author-illustrator Susan Stockdale introduces young readers to some of the distinctive qualities in animals. 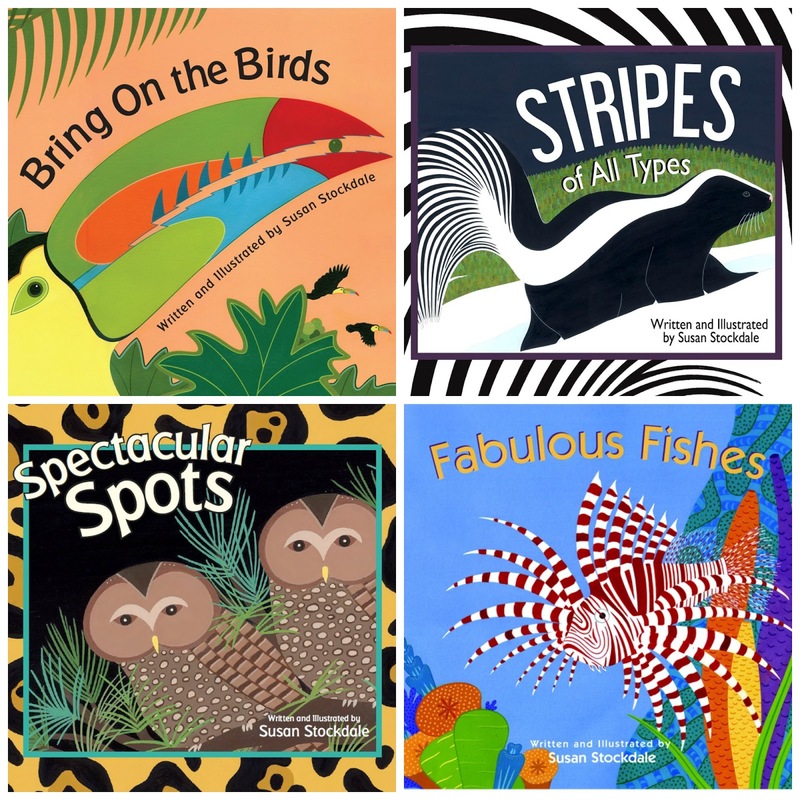 These board books are a great way to introduce rhythm and rhyme found in poetry to children just beginning to learn about language. This verse novel by Juanita Havill for young readers uses rich, evocative language to deliver a powerful story of the extraordinary magic that occurs every day when ordinary people work together. 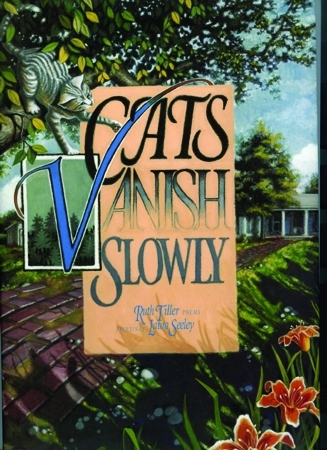 Meet the cats on Grandmother's farm as they wind their way through these twelve poems. Poet Ruth Tiller captures the personalities and moods of each of her cats in clear, concise language easy enough for young readers, but with evocative imagery and varied rhythms that will engage the interest of older readers as well.